Muddy Water's first-born son, Mud Morganfield, will be playing live at The Luminaire with Big Joe Louis and his Blues Kings this Thursday 19th March. This will be Mud's debut London show and should be an unmissable night. Tickets are still available from wegottickets.com and ticketweb.com, but be quick! Just like his father, Mud Morganfield was a truck driver with a passion for music and in his spare time he would sing with various soul groups. As he grew older and particularly since his father's funeral in 1983 (where he met his half brother Bill Morganfield for the first time) he moved towards and finally embraced the blues. Mud is his fathers son, looking remarkably similar and possessed of a fine baritone voice in the tradition of Muddy Snr. Mud cut his teeth in the clubs of the Chicago Southside, but has until recently kept a low profile and quietly built a solid audience with childhood friends like Eddie Taylor Jr helping him out on the bandstand. In July 2007 Mud stepped out into the limelight playing a show with Big Bill Morganfield at the Muddy Waters Memorial Festival in Westmont, Illinois and then straight on to his own set at the Chicago Blues Festival. He then released his debut record in 2008 and hasn't looked back. 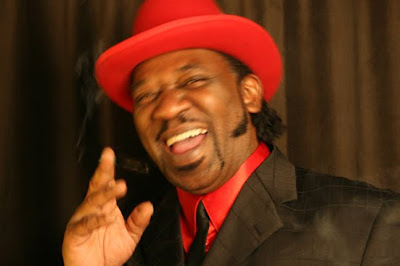 Mud Morganfield's first UK shows in 2007 were a sell-out success and he has since toured throughout Europe, North America and South America. Mud's show at The Luminaire on Thursday 19 March will be his first ever London appearance so don't miss out on a piece of living blues history!